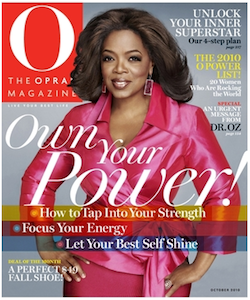 Ideeli is offering up a 1 year subscription to O, The Oprah Magazine for only $12! That’s 77% off newsstand price! To get this magazine subscription, just login or sign up with Ideeli and click on the ‘O Store’ tab.